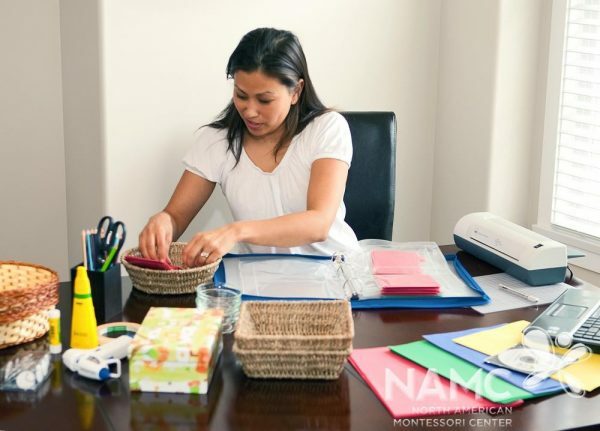 Experienced teachers know that the sooner they get started collecting and organizing items for their classrooms (or take them out of storage), the better they feel about the first few days of school. Likewise, experience has taught them to know as much about their students as they can before their arrival. As soon as it is feasible or announced by school leaders, ask about and obtain a copy of your new schedule and student rosters. Indicate on your list those students with special needs, special dietary instructions, or other requests so that you can be well-versed and ready to assist as quickly as possible when needed. Review any student records that might impact your instruction and/or needs to differentiate for learning styles or gaps. Arrange your room so that traffic flow in and out, as well as in between desks or tables, is as easy as possible. Make sure that there are no safety hazards, especially beware of electrical cords and table and bookcase corners in heavily used areas. Make charts that assist your students with understanding and remembering key elements of standards or “Big Ideas” that you will be teaching in the first few weeks and months of school. Visit rooms of veteran teachers who have taught the grade level and subjects you are assigned. Look for ideas and ask for suggestions from them; no one insists that you reinvent the wheel! What Makes a Successful Teacher?